This beautiful 4 BR will be done just in time for summer! Great open floor plan with large living, kitchen & dining. Corner WBFP with rock and crown add those pretty finishing touches. 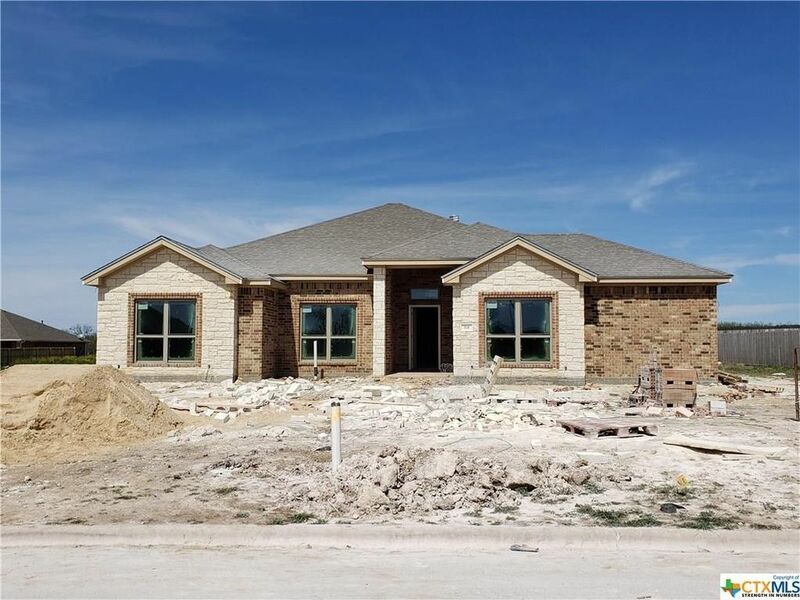 Custom cabinets with granite tops, island with breakfast bar and extra storage, corner pantry and SS appliance package including French Door Fridge with water & ice. Secluded Master with separate His/Hers walk in closets, deep soaking tub, separate shower and double bowl vanity. Side entry garage with remotes, fully sodded & irrigated yard with privacy fencing in the back. Includes builder warranty! Don't miss out on owning a Warren Home, you will not be disappointed. Buyer to verify all dimensions and additional utility availability. Directions: From the Courthouse: Head E. on Main (Hwy 84). L on N. Lovers. L on Sunny. L on Norther. House on R. Look for Kristi's Properties Sign.